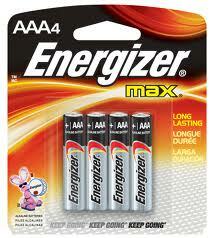 On Checkout 51’s list this week (Sept 26-Oct 2, 2013) is Energizer Max Batteries, any Energizer Max product. Introducing Energizer Max with Power Seal technology. Energizer Max batteries have up to 10 years shelf life and is worlds 1st zero mercury alkaline battery. You will get $1.00 cash back rebate at Checkout 51. Here’s a pic of what it looks like. I found a couple prices of it at a few stores.